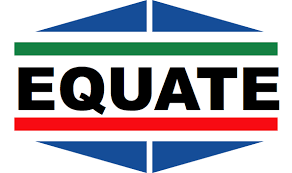 Kuwait-based Equate Petrochemical Company, a global producer of petrochemicals, recently received three awards at the 2018 American Society of Safety Engineers (ASSE) GCC Excellence Awards. Organised by the Kuwait Chapter of ASSE, the award ceremony is an annual event that recognises the Gulf region’s organisations that have made significant strides in investing and managing workplace risks and developing EH&S performance, said a statement. The awards extended to Equate included the Platinum Award for Manufacturing for the 10th consecutive year, the Gold Award for Excellence in Engineering & Construction and finally the Gold Award for the Best HSE Initiative, it said. “This is an essential part of the company’s success and we will continue to strive to get even better in our EH&S practices,” he said. “Our highest priority is the health and safety of our people, communities and the environment. It is an honour to be recognised by ASSE for excellence in our EH&S efforts,” he added. Equate’s EH&S achievements include a number of initiatives, such as Kuwait’s only seawater cooling towers, Kuwait’s first CO2 recovery project as well as having the first Kuwaiti agreement to reduce CO2 emissions in ocean transportation. Equate is the first petrochemical company in the Middle East to obtain the new Responsible Care (RC) 14001:2015 certification from DNV-GL, it stated.